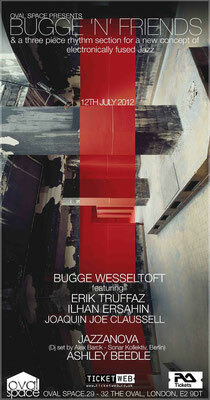 Norwegian pianist and power behind the dance-oriented New Conceptions of Jazz movement in the mid-1990s, Bugge Wesseltoft, brings his seven person jazz group Bugge ‘n’ Friends to London for a rare UK show at Oval Space with support from both Jazzanova and special guest Ashley Beedle. This is the first in a series of unique events and instillations at the newly launched Oval Space in Bethnal Green, following on from the success of resent shows from Bonobo, Wolf + lamb, Claude VonStroke and NYC’s Body & Soul collective. 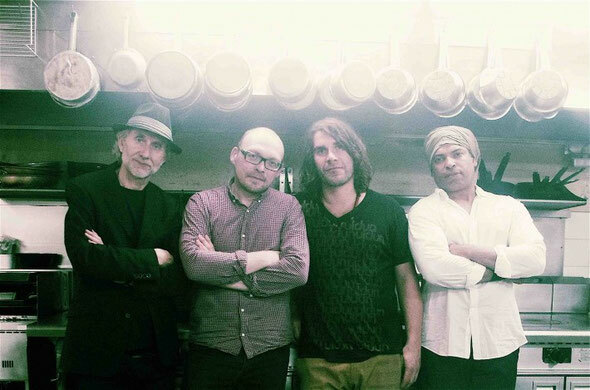 Bugge ‘n’ Friends consists of long time friends and associates including Blue Note trumpeter Erik Truffaz, US producer Joaquin ‘Joe’ Claussell, saxophonist Ilhan Ershain and a three piece rhythm section. Joining Bugge ‘n’ Friends will be Sonar Kollectiv affiliate Alex Barck from Jazzanova and a special guest Ashley Beedle for two intimate DJ sets before and after the performance. “I’m so proud of being able to present this fantastic line up of friends and heroes I have been so fortunate to hear and work with over the last ten years! The Bugge´n' Friends project is all about presenting a community of music and international artists, mixing jazz and electronic music together in a deep mutual respect and with a fascination for each other’s worlds.” Bugge Wesseltoft. Oval Space will open their doors from 6pm for drinks on the terrace, with performances commencing at 7:30pm, when Bugge Wesseltoft and his musical friends will be tackling the boundaries of jazz and house from both sides of the spectrum.